Division of deferred compensation is a hot-button issue in all divorce proceedings. For reasons highlighted throughout this series, family law attorneys assist their divorce clients in preparing for division of deferred benefits earned from current or past employment during the marriage or before, such as a pension, IRA, or 401(k). Qualified and Nonqualified Deferred Compensation and Divorce: Is Deferred Compensation a Marital Asset? Learning how Tennessee courts classify as separate or marital property the IRAs, 401(k)s, pensions, combined SEP-IRAs for self-employed spouses, non-taxable military disability payments in lieu of retired pay, disability insurance benefits, appreciation and accrued value on retirement assets, and so on that can make up the spouses’ marital estate. Before we get started on “what is deferred compensation,” do understand that this is a complicated area of law where individual decisions have potentially significant tax consequences. Our discussion here is only an overview. Exceptions may apply to your particular situation. Always seek tax advice from a Certified Public Accountant (CPA) or tax attorney. For free tax information, you can always visit IRS.gov. Divorce Settlements and Executive Compensation: dividing restricted stock, incentive stock options, restricted stock and other complex executive compensation during divorce. As a general definition, deferred compensation is a portion of an employee’s salary or wages that is set aside to be paid by the employer at a later date. The compensation payment date could be one year or many years into the future, depending upon the employment contract. The form deferred compensation takes can vary, too, but we’ll get to that. Deferred compensation is a portion of an employee’s salary or wages and set aside to be paid by the employer at a later date. We are talking about employer-provided retirement plans, pensions, stock options, and deferred profit-sharing plans, to name a few. To the employee, deferred compensation is part of the salary or wages earned presently, but which are not made available until some specified event or future date. For example, the event may be an employee’s disability, or retirement, or a reward for years of service with the company. For the most part, the employee who participates in a deferred compensation plan will postpone receiving a portion of his or her salary in return for the employer’s obligation to pay that portion at an ascertainable date or event in the future. In most instances, this reduces the employee’s taxable income for the current year when earned (still paying Social Security and Medicare taxes in the year the income was earned but not yet paid). Ordinarily, income that was properly deferred will not be taxed until the year those funds are actually distributed to the employee as a plan participant. With pension payments arriving when the retired employee’s income falls to a lower tax bracket (lower than when earned), he or she has a reduced tax liability. Although not an absolute, that’s generally how it works for most people. What does deferred compensation typically look like? 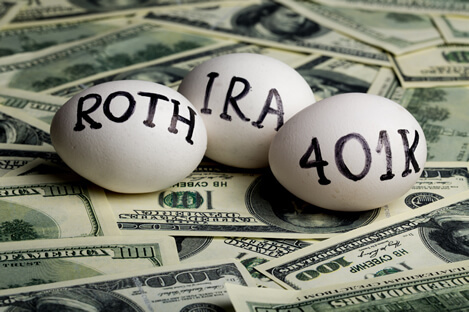 The Roth IRA is a noted exception to the general rule that deferred compensation will be taxed when actually paid out to the individual earner (retired or not). Roth IRAs require the tax to be paid on income the year the income was earned, which is more beneficial for those who anticipate being in a higher tax bracket on retirement as opposed to a lower bracket. 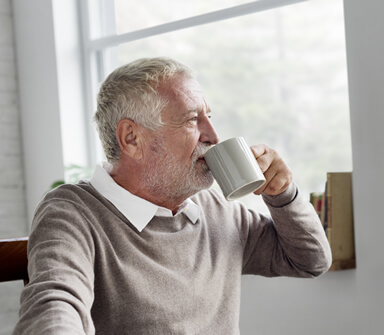 By contrast, the traditional IRA is taxed when the participant draws the money out at retirement age, which is why it is still the most popular strategy for individual retirement arrangements. There are penalties for early withdrawal from both types, however. Talk to your C.P.A. or tax advisor. In contracts between employers and employees, there are two possible categories of deferred compensation plans: Qualifying and Non-Qualifying. In today’s workplace, larger employers may offer more than one deferred compensation plan to employees for the future and retirement, offering both qualifying and non-qualifying plan options. 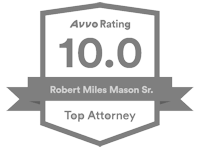 In any divorce, especially if a spouse has a lengthy work history, either or both types may be relevant in dividing marital property, in awarding alimony, and in calculating child support. To the unwary, deferred compensation is fertile ground for double dipping. Keep a close eye on the situation and discuss the possibility of double counting with an experienced divorce attorney. At a minimum, here’s what you need to know about qualifying and non-qualifying deferred compensation plans. Qualifying deferred compensation plans are governed by the Employee Retirement Income Security Act (ERISA). This federal statute controls operation of most private pension and benefit plans and has been the law since 1974, as amended. These plans are offered to employees by for-profit private companies. Some deferrals to qualified plans should be familiar to most employees: 401(k) plans and 403(b) plans. 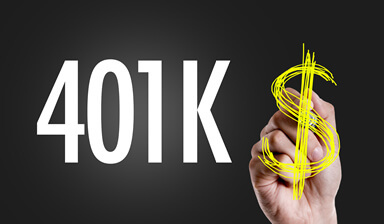 Briefly, the 401(k) plan is a defined contribution plan where an employee can make contributions from his or her paycheck either before-tax or after-tax, depending upon the options that are offered in the 401(k) plan. See 26 U.S.C. § 401. In 2014, Tennessee Valley Authority (TVA) became the largest electric utility to switch from traditional defined-benefit pensions to individual 401(k) retirement plans for newly hired workers. That was a very big deal! QDRO Deferred Compensation Plans: 401k plans are governed by ERISA. Importantly, ERISA qualifying plans are capped by law and must be made available to all employees. (Independent contractors are not employees.) When attempting to collect on a debt, a creditor of the employer cannot reach funds in the qualifying deferred compensation plan. Those funds are off limits, having been segregated from the company’s general assets and held in trust for the employee-beneficiaries. Should the employer become insolvent or file for relief under Chapter 7 or Chapter 11 of the U.S. Bankruptcy Code, the qualifying plan cannot be used to pay creditors of the debtor-company. The picture is quite different with the non-qualifying plans up next. The non-qualifying deferred compensation (NQDC) plans include the 409(a) plan (referring to Section 409A of the Internal Revenue Code (IRC)). See 26 U.S.C. § 409A. These plans are not capped and may be made available to employees and independent contractors. Typically, they are for a period of time, say five years, 10 years, or until the worker retires. These plans are contractually agreed to by employer and employee/independent contractor. One example of an NQDC is the 457(b) plan. This nonqualifed, unfunded deferred compensation plan may be established by state and local governments and tax-exempt employers. With 457(b) plans, both contributions and earnings on retirement money are tax-deferred. See 26 U.S.C. § 457. By way of example, the City of Memphis offers its employees deferred compensation under a supplemental 457(b) plan. Examples of non-qualified plans include Supplemental Executive Retirement Plans (SERPs), stock and stock options, tax-deferred annuities, and deferred savings plans. Importantly, all NQDCs fall outside the scope of ERISA’s guidelines for qualified plans. Why do employers offer NQDC plans? Non-qualifying plans to attract and keep valuable talent. Sometimes called “golden handcuffs,” these benefits sweeten the pie without the employer having to pay full compensation to the employee or independent contractor immediately. Because NQDC plans are not capped, the employer can keep adding to the pie above and beyond any ERISA qualified plan that an employer also provides to eligible employees. Because NQDCs are regulated and governed by contract law, they often include non-compete clauses among other terms. An employee could forfeit the benefit by breaching the contract. For example, an independent contractor could violate the non-compete clause by accepting employment with a competitor. Or an employee could be terminated for cause having passed his or her employer’s trade secrets on to the competition. If the employee or independent contractor takes an early distribution from a non-qualified plan, then the IRS will assess a substantial penalty for early withdrawal. A risk with the NQDC fringe benefit plan is that creditors can reach these plans to collect on the employer’s debt. NQDC plans are not protected from creditors even if the employer files for bankruptcy relief. That’s because the plan is a company asset. That the NQDC funds were in a trust account will not matter so much to the bankruptcy court or creditors. The non-qualifying plan is a general asset of the company and, as such, is available to pay company debts. Needless to say, there is additional risk of loss associated with non-qualified plans. 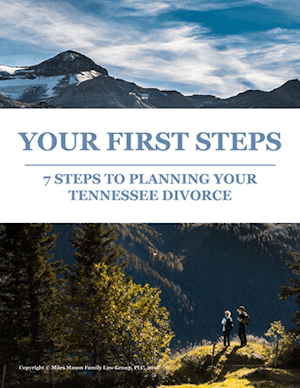 What does all this have to do with Tennessee divorce? Any spouse who was ever employed may have deferred compensation. When the spouse is an high income earner, there is a strong likelihood that he or she has investments in both a qualified tax-deferred plan (401(k) or IRA) and a potentially much more lucrative NQDC plan (409(a)) that has been growing for years, maybe decades. These retirement assets are ripe for division in divorce. Or are they? Is the deferred benefit plan part of the marital estate or a separate asset? How the court should classify deferred compensation is a key question when dividing property in divorce. If determined to be a marital asset, qualifying and non-qualifying plans will be divided and equitably distributed along with the rest of the marital estate. 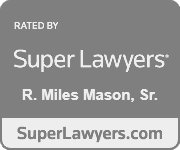 In this discussion it becomes apparent that deferred compensation as defined by federal law is not necessarily marital deferred compensation in Tennessee property division law, despite many shared characteristics. Take a look. Throughout this discussion, we often refer to (B)(i) as the “first clause” and (B)(ii) as the “second clause.” Here’s why. The first clause says income, appreciation, or increased value on a separate asset is marital property when both spouses substantially contributed to its preservation and appreciation. The burden of proving substantial contribution is on the spouse asserting the IRAs, 401(k)s, pensions, stock options, stocks, or other deferred compensation are marital assets. On a plain reading of the statute, one might think any increase in a spouse’s premarital IRA value should be a marital asset if that increase in value accrued during the marriage and the non-owning spouse substantially contributed to the fund’s preservation and appreciation. As discussed later in this series, however, contributing to the general success of the marriage is not the same as contributing to a separate retirement account’s increased value. It takes more. See Langschmidt. The second clause says fringe benefit rights from employment during the marriage, vested or unvested, are marital property. A spouse’s IRA or 401(k) could fall under either clause, depending upon when the account was funded and other factual findings. A spouse’s employment benefit earned during the marriage should be marital property. But what happens when the retirement plan was funded before and after the marriage as is so often the case, especially with delayed, second, or late in life marriages. There are exceptions and definitional challenges when interpreting this seemingly straightforward statutory provision. This and more in the next installation of our deferred compensation series, Part 2.